Lottie and Lil Blog » Inside Out Pops! 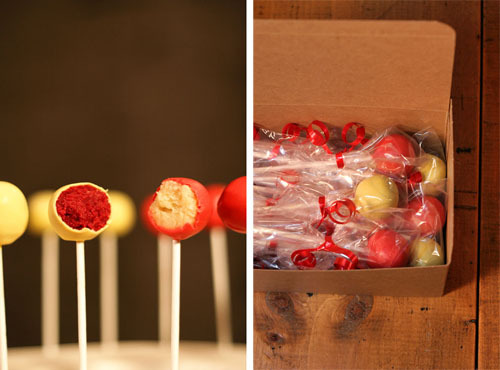 Rudy Red cake pops dipped in soft yellow and Pure Vanilla dipped in bright red! 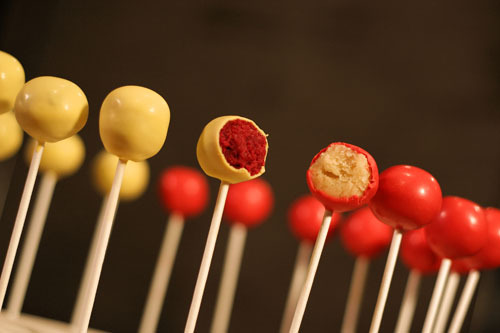 A fun play on colors with these inside out cake pops. I can just imagine how much the children of the daycare loved these colorful treats. This entry was posted on Saturday, November 13th, 2010 at 11:17 pm	and is filed under Recent Creations, Special Event Pops.